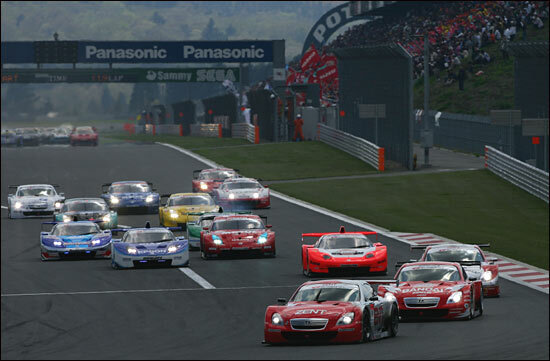 15 GT500 machines and 26 GT300s (including the race debut of the Ford GT) formed the grid for round 3 of the 2006 Super GT championship on May 5 – over 500 Km rather than the regular 300. Andre Couto pulled into the pits after the formation lap with alternator problems in the #66 triple Toyota Supra, but the rest took up their allotted start slots behind the pole sitting #1 Zent Cerumo Lexus SC 430, with Yuji Tachikawa taking the opening stint. The pole position car was the first major runner to hit trouble, two stops in quick succession for a problem with the braking system. Taking the lead of the race as a result was Peter Dumbreck in another Lexus, this time the #35 Bandai Direzza car, ahead of Andre Lotterer in the #36 Lexus and Loic Duval aboard the #32 Epson Nakajima Honda NSX. Erik Comas in the #24 Nissan Fairlady and Akira Iida in the #6 Mobil 1 Lexus SC were fast working their way up through the pack from 12th and 14th on the grid respectively - up to 4th and 5th positions in the very early stages. Lap 16 and at the first turn Comas passed Duval for 3rd slot with the Iida Lexus also blowing by Duval, but taking 10 further laps to do so. Iida chose to pit first of the frontrunners, on lap 30, followed by the #36 car at the end of lap 32, with #6 following on lap 38. Dumbreck pitted from the lead on lap 39 to hand the Bandai Lexus over to Naoki Hattori. Lotterer meanwhile had remained aboard the #36 car at the first stop and the time saved had enabled him to take the lead. The order then after the first pit sequence was #36 (Lotterer), #35 (Hattori) and #6 (Tatsuya Kataoka). There was heartbreak meanwhile for the #24 crew: all of Comas’ hard work came undone after the car’s front right wheel was found not to be properly mounted at the pit stop, a second stop (and a hefty chunk of time) was required to put that right. Up front the gap was narrowing, Hattori closing to within 0.3 sec of Lotterer by the end of lap 60. Lotterer was under pressure and it showed. Lap 67 and with the #36 car lapping a backmarker at Panasonic corner, there was contact and Lotterer was forced to return to the pit with a burst left rear tire. The team took the opportunity to change drivers, with Juichi Wakisaka taking over. The other leading cars were soon following #36 down the pit lane for the second pit stop cycle. Hattori stayed at the wheel of the #35 car after pitting on lap 72. Kataoka then took the lead in the #6 car before pitting to hand back to Iida on lap 75. #35 was now the effective leader, followed by #36,with the #6 car a little further back. The woes for the #36 car though weren’t over, with a drive-through penalty for a pit work violation. That allowed the #6 to close the gap and finally grab second spot on lap 101. This put the three SC430 machines in the top three positions overall. It wouldn’t stay like that however, with a 35-second penalty assessed on the #36 car on the very last lap, when the stewards decided that its collision on lap 67 had been the result of a dangerous move. This moved the #23 Xanavi Nismo Nissan Fairlady Z (Satoshi Motoyama / Tsugio Matsuda) into third place after a fine run working its way up through the field, having been forced to start from the back of the grid owing to an engine change following trouble in the morning practice session. 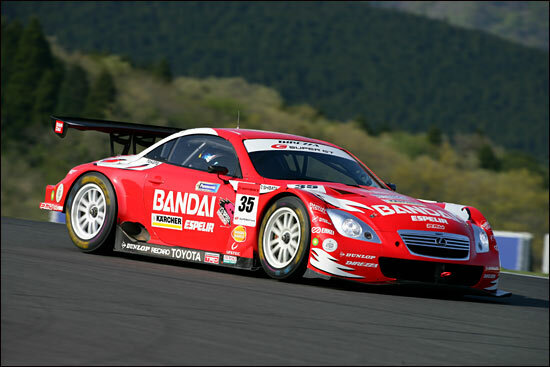 The win for the #35 Lexus SC430 marked the first win for Hattori since the last round of the 1996 season at Mine. 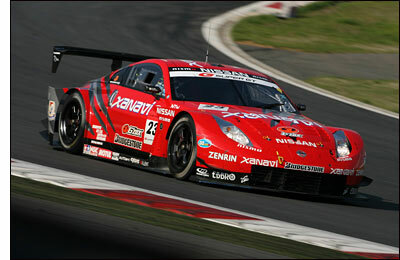 It was also the first victory for a car running on Dunlop tires since the last round of the 1997 season at Suzuka. With an appeal filed by the #36 squad against the 35 second penalty that cost the team a podium finish, the result remains provisional. In the GT300 class there was a pair of early setbacks for the polesitting #2Priv_e Zurich APPLE Shiden driven by Kazuho Takahashi, first suffering a collision with the #110 Totalbenefit Greentec Porsche Boxster and then losing ground with a drive-through penalty, for starting the race on the incorrect set of tyres. All of this handed the lead of the class to the #26 Taisan Porsche driven by Shinichi Yamaji, with Mitsuhiro Kinoshita following in second position in the #14 Porsche. When the #26 car changed drivers to Kazuyuki Nishizawa at the first pit stop, however the Taisan car began to lose ground. Next in (from the lead) was the #14 911. But, again, after changing drivers to Kyosuke Mineo, it also lost ground and was eventually passed on lap 65 by the #46 Kiccho Houzan Direzza Nissan Fairlady Z (Kota Sasaki / Taku Bamba). Running in the class lead on lap 69 however, #46 collided with #7 Amemiya Asparadrink Mazda RX7(Tetsuya Yamano / Hiroyuki Iiri). Meanwhile, the #62 Willcom Advan Vemac 408R (Shinsuke Shibahara / Hiroyuki Yagi), which had pitted on a different strategy from other front runners, was able to take the lead. 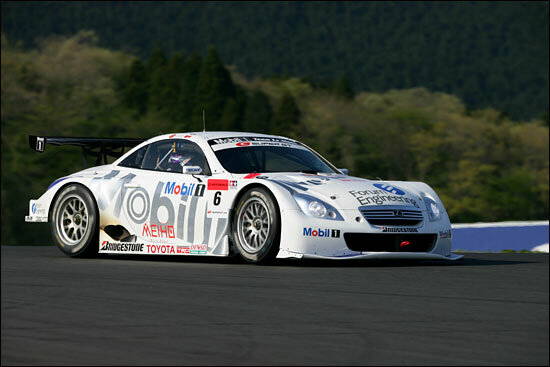 Another car profiting from a different pit strategy (stopping just once) was the #101 Toy Story Racing Toyota MR-S (Morio Nitta / Shinichi Takagi) now up into second position. Following in third was #11 Ferrari (Tetsuya Tanaka / Takayuki Aoki), but gear linkage trouble in the late stages of the race forced an unexpected pit stop that allowed the #14 Porsche to reclaim the place. Victory then went to the #62 Vemac (Shinsuke Shibahara / Hiroyuki Yagi). Second went to the #101 Toyota MR-S (Morio Nitta / Shinichi Takagi) and third to the #14 Porsche (Mitsuhiro Kinoshita / Kyosuke Mineo). Hankook tires, as used by the #14 car, are in their first year of GT competition, and this result gave them a podium finish in only their third GT race.